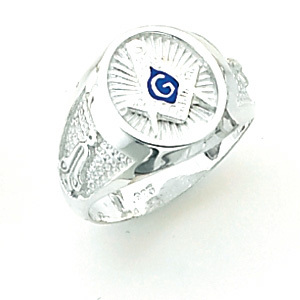 Open or solid back, polished 14kt white gold ring with Masonic compass and set square symbol. Oval sunburst top. Tapered shank with side emblems. Plumb bob and trowel side emblems.